Fenway Park is a great place to take photographs of Boston! E in the garden, a great place for her! 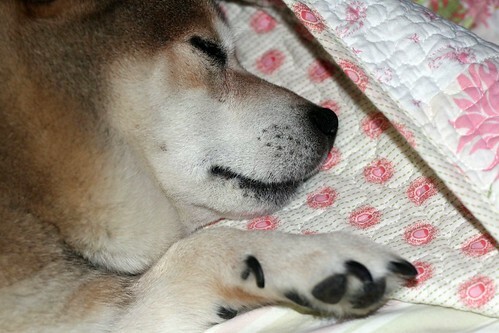 Aw, sleepy time just makes me want to stay home and snuggle with pets. 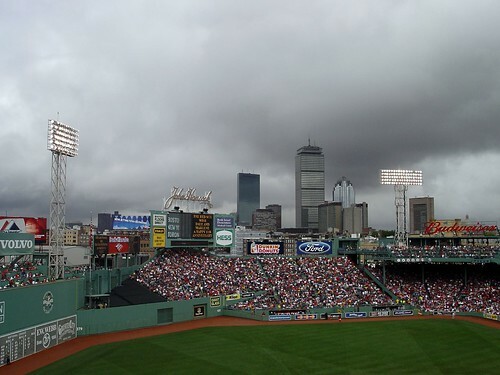 Love the stormy looking sky over Fenway. And is that you? 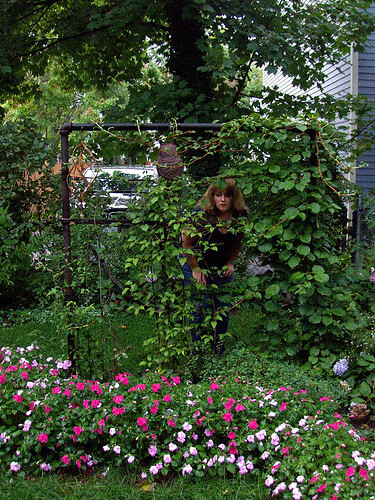 I love your garden photo – cool!!! I love sleepy time! That shot of Fenway is outstanding! A wild woman in the garden-perfect! That shot of Fenway and the Boston skyline is like a postcard. Just perfect! hey is that YOU lurking in the bushes???????? looks like good seats at the ball game the other day, and OH WOLF, baby! 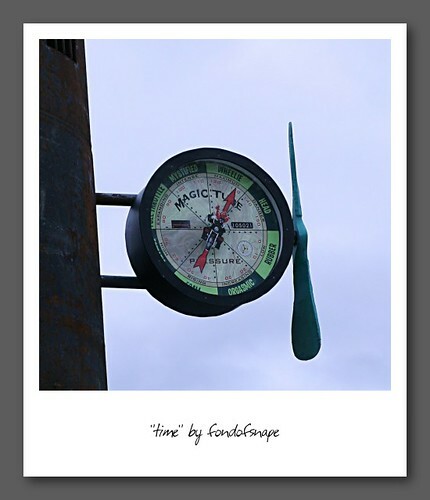 Love that clock!! Wolf is so cute! Did you get rained on? I’m jealous of that garden! Beautiful! Mass. lady – you must check out the fish on my blog!! Oh, I love your garden! Magic time and sleepy time are just wonderful and the skyline is very beautiful. I love ‘em all – and that shot of Fenway Park looks like postcard material, it’s so perfect! Forgot to say… I can “feel” fenway from that foto. That first picture is my favorite. I love how the colors pop. E in the garden looks like she’s spying on someone. Maybe a gnome? Hehe. Wolf looks so soft, I just want to snuggle him!! Such a sweet face. Sleepy puppy is TOO cute! I think I’m in love… is that Wolf?? ?